Onsite virus spyware and worm removal and cleaning from Altitude Data does not consist of reformatting your hard drive and reinstalling your operating system. Let us clean and remove the threat without the loss of your critical data. We provide onsite virus and worm removal right in your office or home. 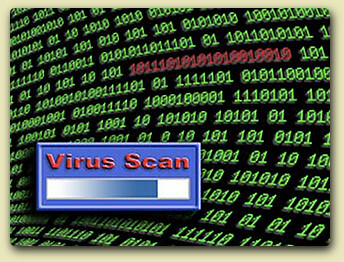 We utilize an array of first rate tools to clean the viruses out and get your system back up and running safely. We have years of experience in the proper way to clean your system, without damaging files or losing your valuable data. We only reformat as a last resort. We are experienced working with all Windows operating systems including Vista, XP, XP Pro, Win2000, and Win2000 Pro. We have been dealing with Windows since it came on floppies. Don't trust your data to just anyone, Altitude Data has the expertise to clean viruses, trojans, adware, spyware, malware, and worms that are infecting your system. We do it safely, right in your home or business when feasible. Since virus removal and system cleaning jobs depend on disk size and system speed as well as the extent of the infection, this is a choice best made on a per-case basis. Software is considered malware based on the perceived intent of the creator rather than any particular features. Malware includes computer viruses, worms, trojans, spyware, dishonest adware, crimeware, most rootkits, and other malicious and unwanted software. Spyware is a type of malware that is installed on computers and collects little bits of information at a time about users without their knowledge. The presence of spyware is typically hidden from the user, and can be difficult to detect. Typically, spyware is secretly installed on the user's personal computer. Sometimes, however, spyware such as keyloggers are installed by the owner of a shared, corporate, or public computer on purpose in order to secretly monitor other users. While the term spyware suggests that software that secretly monitors the users computing, the functions of spyware extend well beyond simple monitoring. Spyware programs can collect various types of personal information, such as Internet surfing habits and sites that have been visited, but can also interfere with user control of the computer in other ways, such as installing additional software and redirecting Web browser activity. 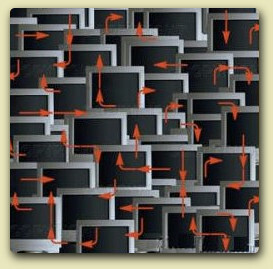 Spyware is known to change computer settings, resulting in slow connection speeds, different home pages, and/or loss of Internet or functionality of other programs. In an attempt to increase the understanding of spyware, a more formal classification of its included software types is captured under the term privacy-invasive software. A Trojan, sometimes referred to as a Trojan horse, is non-self-replicating malware that appears to perform a desirable function for the user but instead facilitates unauthorized access to the user's computer system. The term is derived from the Trojan Horse story in Greek mythology. Trojans are designed to allow a hacker remote access to a target computer system. Once a Trojan has been installed on a target computer system, it is possible for a hacker to access it remotely and perform various operations. The operations that a hacker can perform are limited by user privileges on the target computer system and the design of the Trojan. These days, security simply must be a system, not a patchwork. That doesn't mean it all has to come from one CD, it means you have to get all the bases covered. Nothing, and yes, that means nothing, can do it all alone. Security is a team effort: antivirus, firewalls, malware, trojan and spyware protection at the minimum. The roster can vary, there is no right answer to those choices, but the postitions must be filled. There is always more than one approach to any computer issue, the right answer is the one that works best for you. That is what we look for, the best answer for you, a system without security holes but that is also not so secure that it needs IT staff on hand 24/7. Unplugged holes are very easily climbed through, allowing your data to be rifled. And once you have a small infection, guaranteed, it won't stay small for long. Get it taken care of sooner rather than later, because in some cases, later is when you have already suffered financial loss due to data compromise or, worse, identity theft.